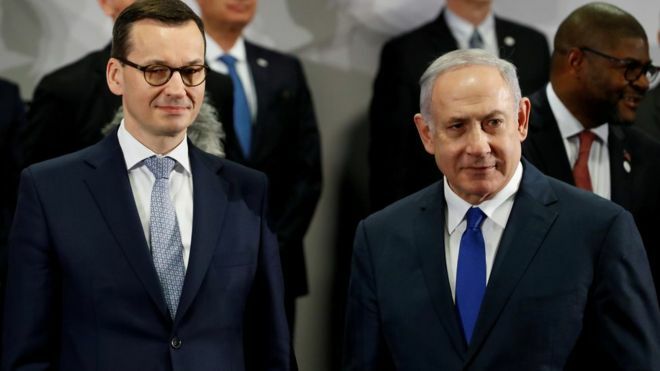 "Poland PM Cancels Israel Trip After Netanyahu's Holocaust Comments," BBC News, February 17, 2019. 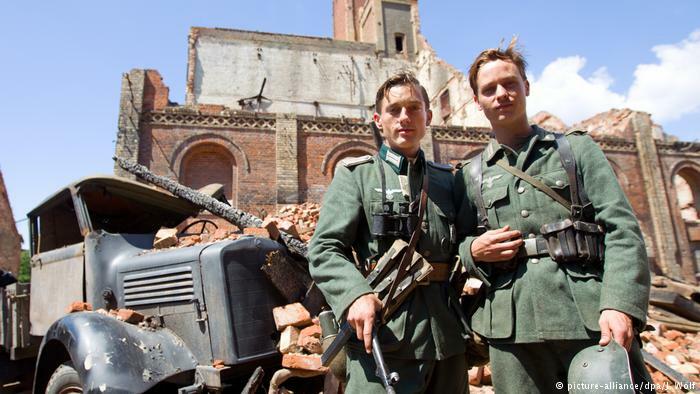 "German Broadcaster Fined By Polish Drama Over WW II Drama," DW, December 28, 2018. 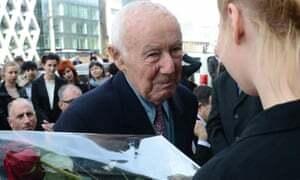 "Warsaw Ghetto Uprising Fighter Simcha Rotem Dies At 94," Guardian, December 23, 2018. 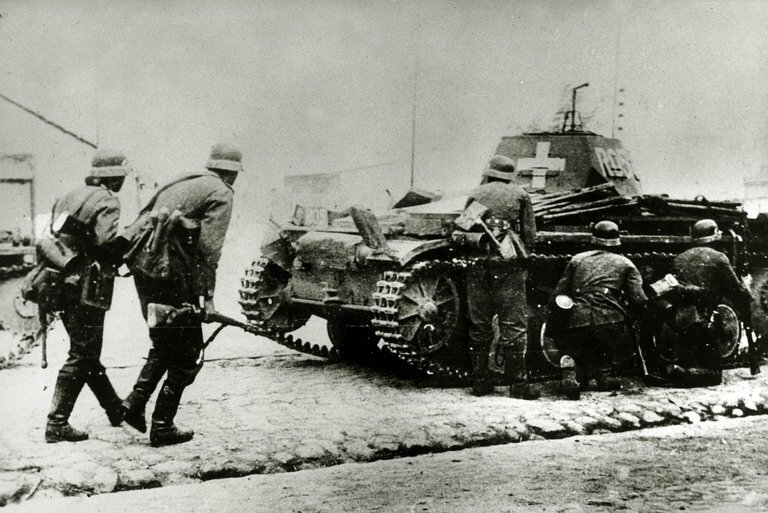 "Polish President Seeks WW II Reparations From Germany," DW, November 2, 2018. 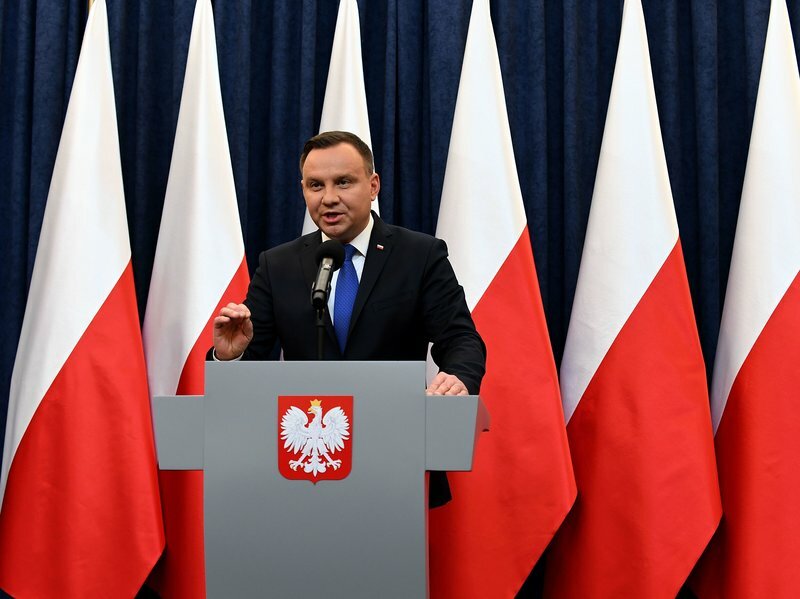 Christian Davies, "Poland Makes Partial U-Turn On Holocaust Law After Israel Row," Guardian, June 27, 2018. Przemyslaw Wielgosz, "Poland's Nationalists Are Burying Their Antisemitic Past -- This Is Dangerous," Guardian, March 6, 2018. "Poland Holocaust Law: Talks In Jerusalem Aim To Ease Row," BBC News, March 2, 2018. 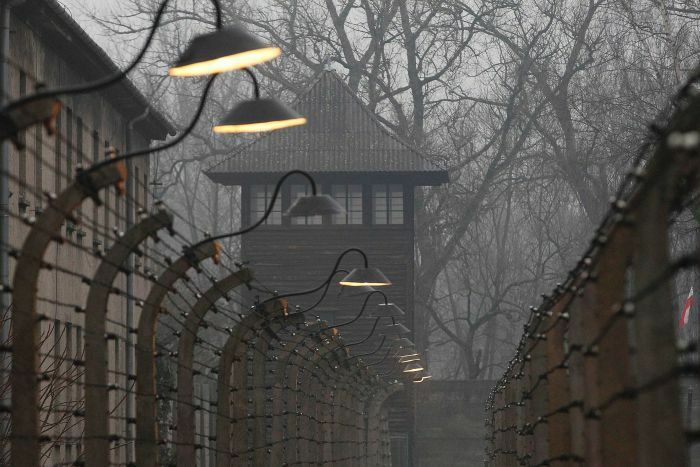 Isabel Kershner and Hoanna Berendt, "Poland And Israel In Tense Talks Over Law Likened To Holocaust Denial," New York Times, March 1, 2018. 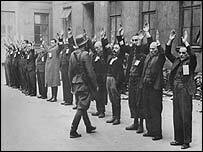 "Polish Law Criminalizing Some Holocaust Speech Takes Effect Today," CBC News, March 1, 2018. 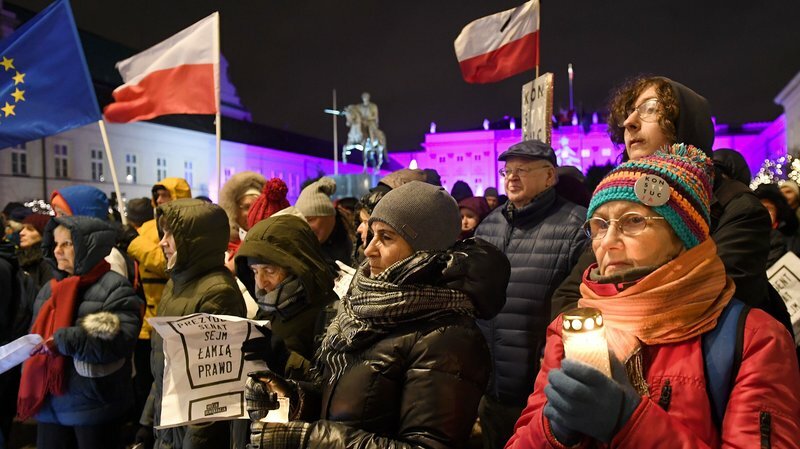 James Masters and Antonia Mortensen, "Poland's Jewish Groups Say Jews Feel Unsafe Since New Holocaust Law," CNN, February 20, 2018. 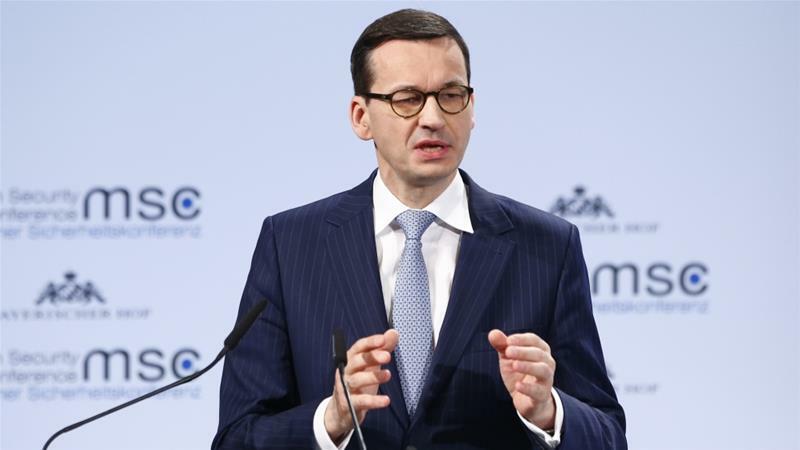 "Poland's Morawiecki Defends Holocaust Law In Munich," Al Jazeera, February 18, 2018. Rachel Donadio, "The Dark Consequences Of Poland's New Holocaust Law," Atlantic (February 8, 2018). 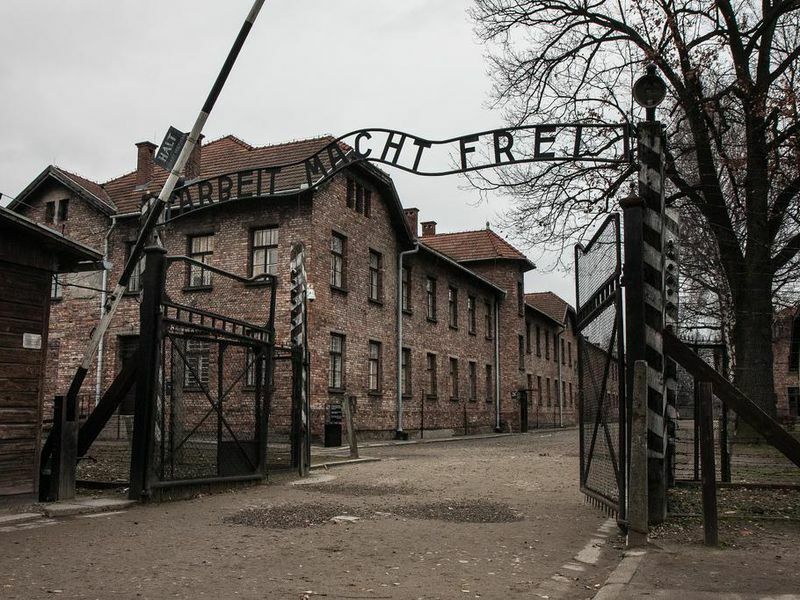 Marc Santora, "Poland's 'Death Camp' Law Tears At Shared Bonds Of Suffering With Jews," New York Times, February 6, 2018. Marc Santora, "Poland's President Supports Making Some Holocaust Statements A Crime," New York Times, February 6, 2018. "Poland's President To Sign Controversial Holocaust Bill," Al Jazeera, February 6, 2018. Emily Sullivan, "Polish President Signs Bill Giving Jail Time For Implicating Poland In The Holocaust," Two-Way, NPR, February 6, 2018. Joel Gunter, "Holocaust Law Wields A 'Blunt Instrument' Against Poland's Past," BBC News, February 3, 2018. Jonah Shepp, "Poland's Holocaust Law And The Right-Wing Desire To Rewrite History," New York, February 3, 2018. 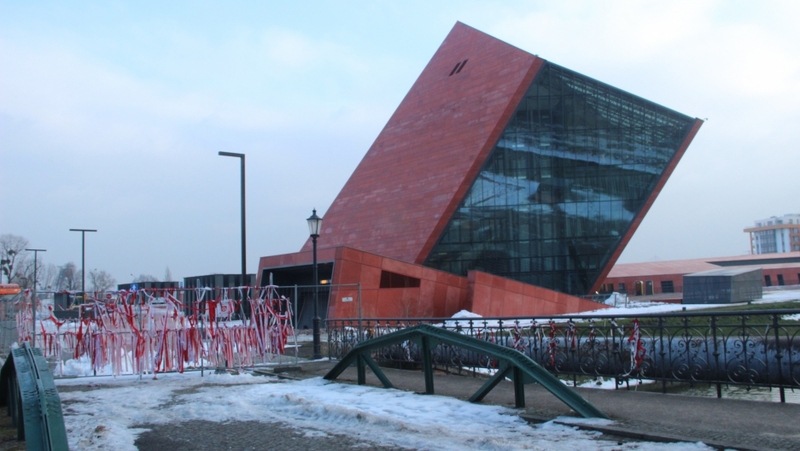 Liam Hoare, "Amid Holocaust Law, Poland Gives Its Second World War Museum A Nationalist Rebrand," JC, February 2, 2018. "Poland's Senate Passes Controversial Holocaust Bill," BBC News, February 1, 2018. 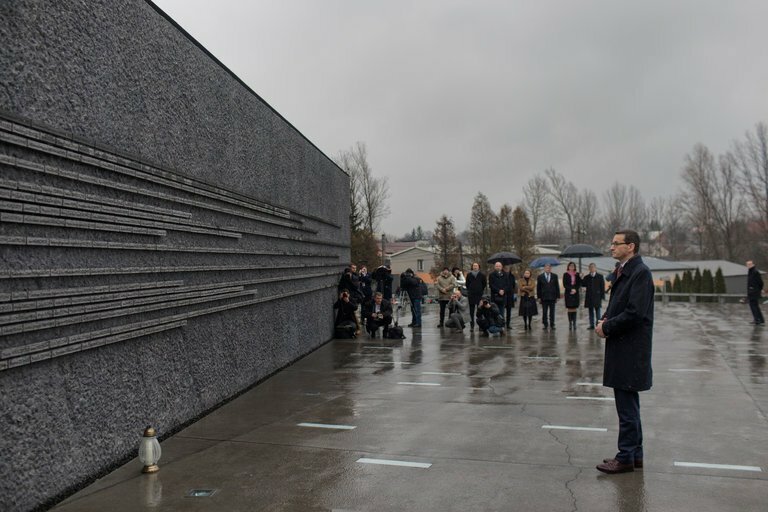 Colin Dwyer, "Poland Passes Bill Criminalizing Claims Of Its Complicity In The Holocaust," Two-Way, NPR, February 1, 2018. 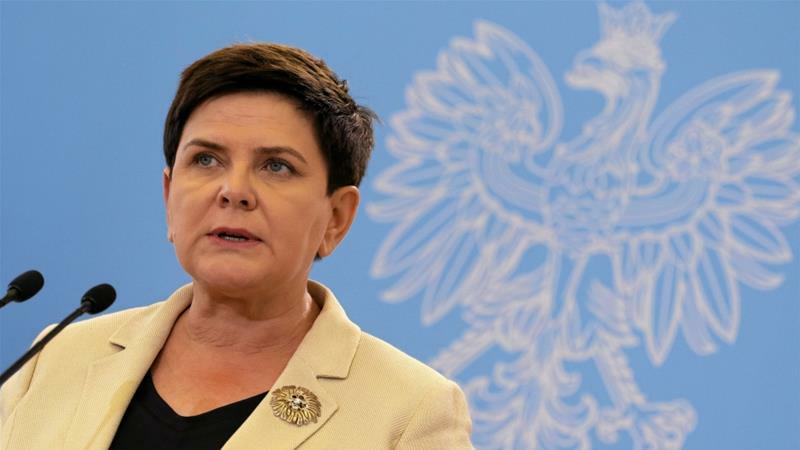 Anna Maria Jakubek, "Polish PM Defends Holocaust Bill That Upset Israel, Ukraine," Digital Journal, February 1, 2018. 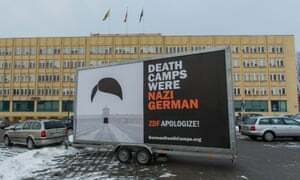 "Warsaw Lawmakers Pass Holocaust Bill To Restrict Term 'Polish Death Camps,'" CBC News, February 1, 2018. 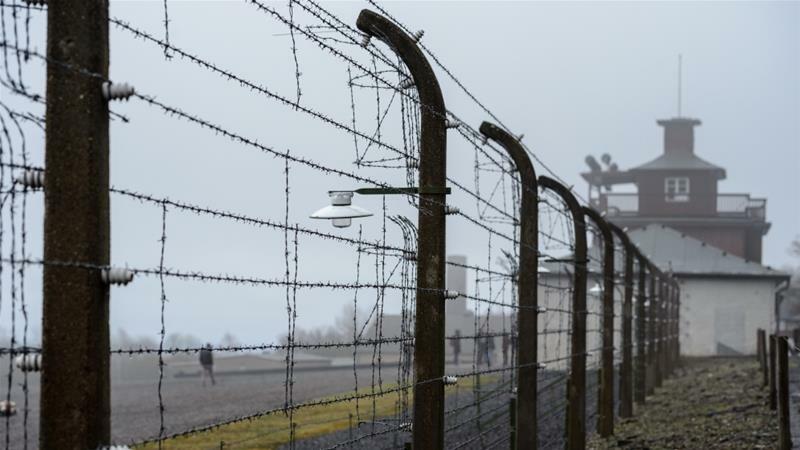 "Poland's Senate Approves Holocaust Bill That Sparked A Row With Israel," DW, February 1, 2018. "Sobibor Death Camp Survivor Arkady Waispapir Dies At 96," BBC News, January 20, 2018. 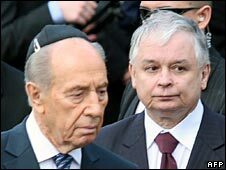 "Israel Criticises Poland Over Proposed Holocaust Law," BBC News, January 28, 2018. 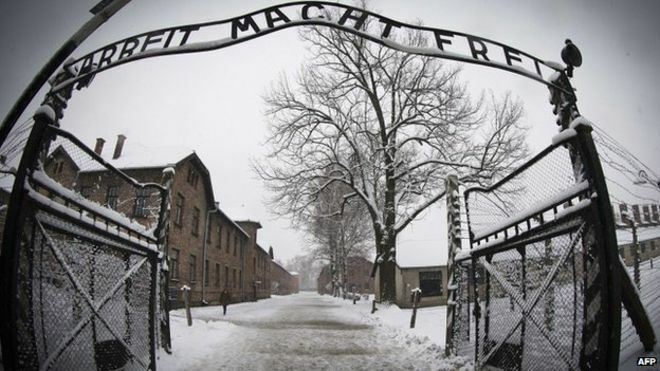 "Israel Says 'Polish Death Camp' Rephrasing Bill Amounts To Denial," DW, January 28, 2018. 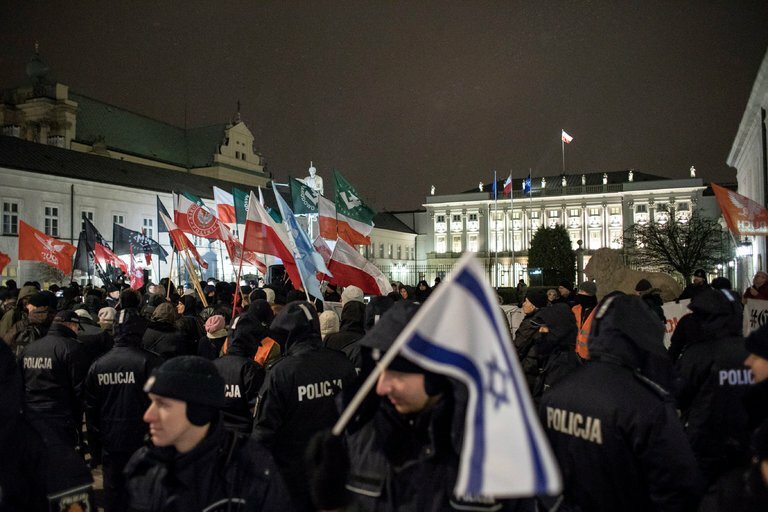 Jan Cienski, "Polish-Israeli Spat Over Holocaust Guilt," Politico, January 28, 2018. 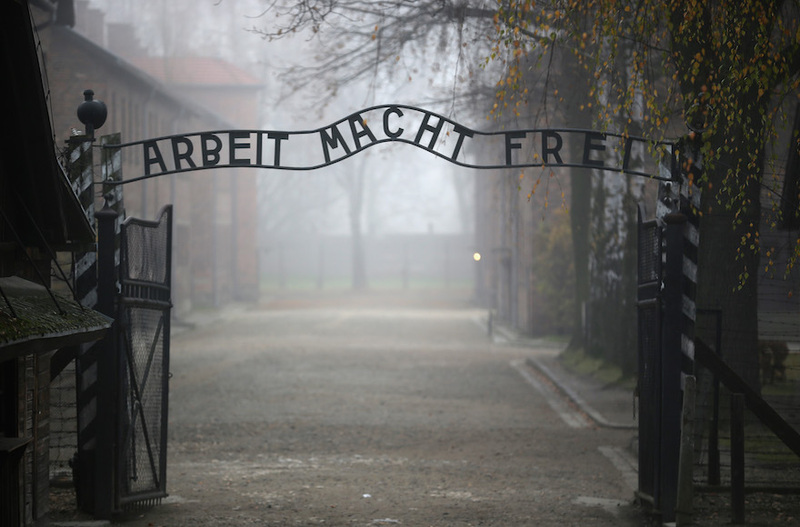 Cnaan Liphshiz, "Poland Wants To Ban The Term 'Polish Death Camps,'" Jewish Telegraphic Agency, January 27, 2018. 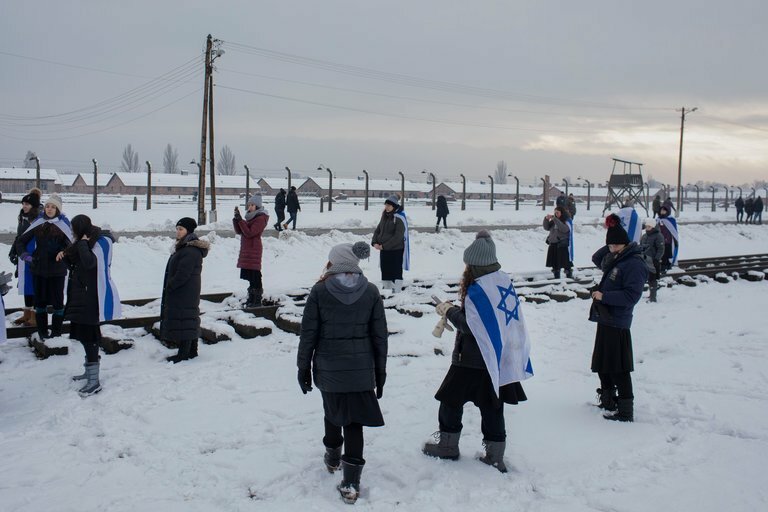 "Israel 'Revolted' By Legislation Outlawing Blaming Poland For Holocaust Crimes," ABC News, January 27, 2018. "Forgotten Victims: Polish Children Abducted During World War II Still Seeking Truth," DW, December 30, 2017. Camila Domonoske, "Polish President Signs Controversial Laws As EU Triggers Punishment Clause," Two-Way, NPR, December 20, 2017. 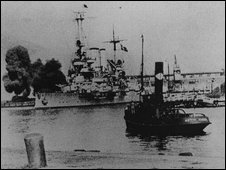 Wojciech Kosc, "Poland Could Seek War Reparations From Germany, Say Parliament Researchers," Politico, September 11, 2017. 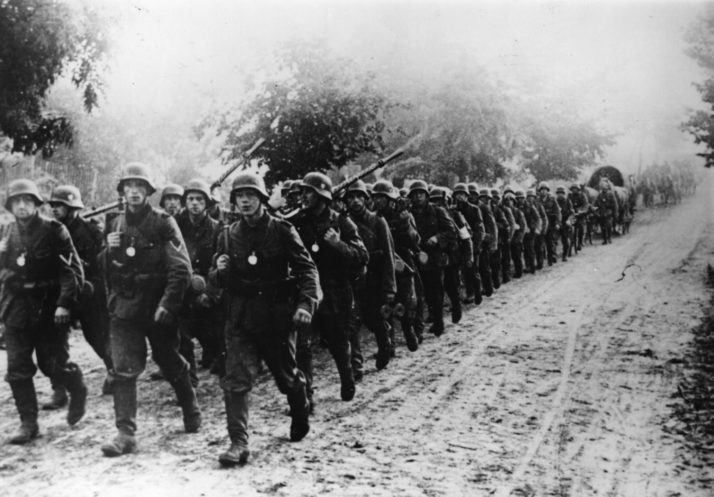 "Berlin Dismisses Polish Demands For World War II Reparations," DW, September 8, 2017. "Germany Rejects Polish Call For WW II Reparations," Al Jazeera, September 8, 2017. "Muslim Girls Complain Of Polish Racism On Holocaust Study Trip," BBC News, June 28, 2017. 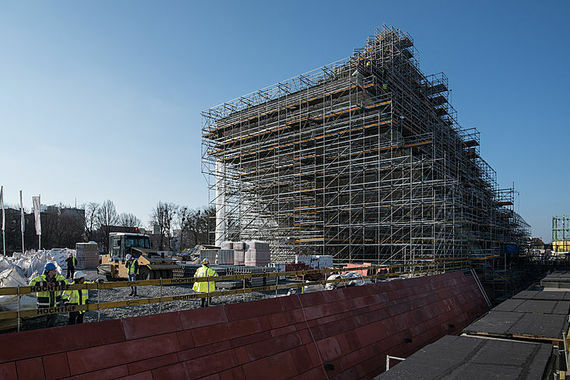 Pawel Adamowicz, "World War II Museum In The Focus Of International Attention," Huffington Post. Claudia Ciobanu, "Poland's WW II Museum Under Political Bombardment," Politico, May 15, 2017. 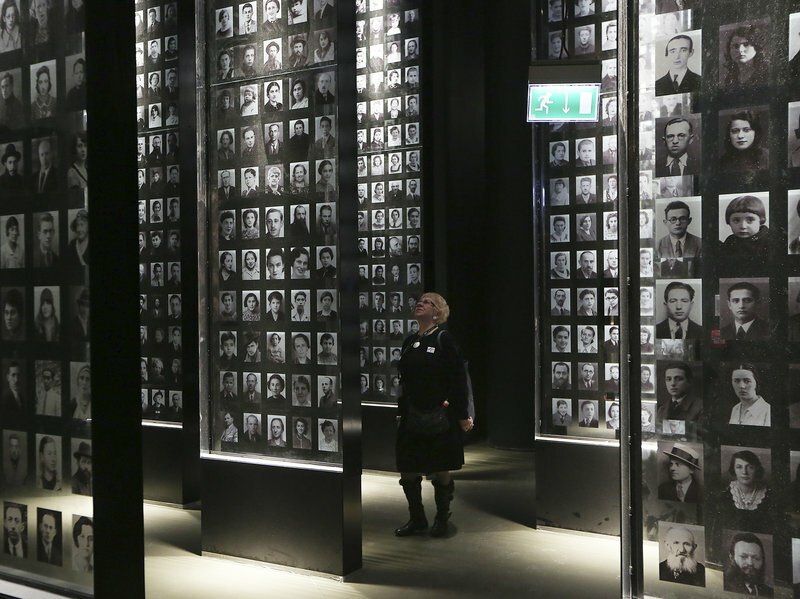 "Poland's World War II Museum Opens Amid Controversy," DW, March 23, 2017. 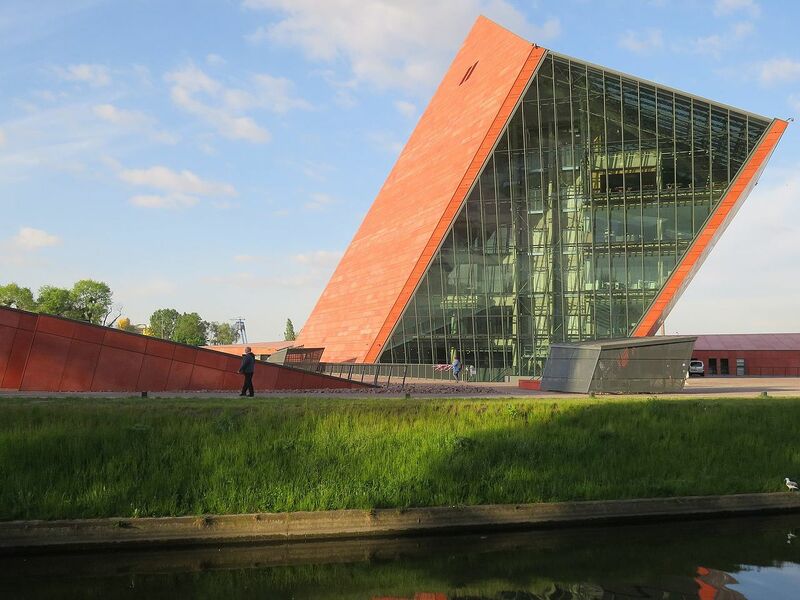 Julia Szyndzielorz, "Dispute Over 'Patriotism' Delays Opening Of Gdansk's New War Museum," Guardian, January 28, 2017. Rachel Donadio, "A Museum Becomes A Battlefield Over Poland's History," New York Times, November 9, 2016. Jan Grabowski, "The Danger In Poland's Frontal Attack On Its Holocaust History," Maclean's (September 20, 2016). Erin Blakemore, "Use The Phrase 'Polish Death Camps' In Poland And You May Go To Jail," Smithsonian News, August 18, 2016. Cnaan Liphshiz, "75 Years After Jedwabne Pogrom, Poland Wrestles With Evidence Of Complicity," Jewish Telegraphic Agency, July 12, 2016. 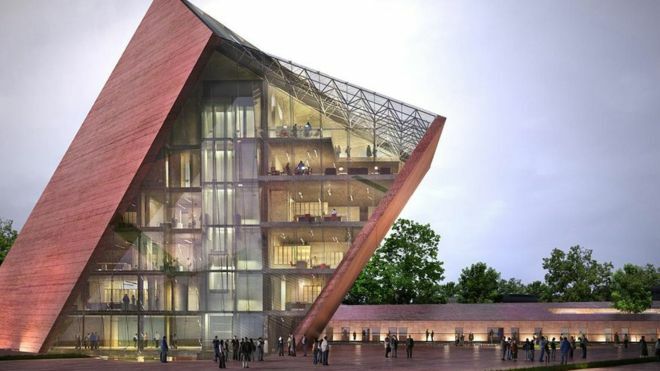 Adam Easton, "Poland In Row With Historians Over Landmark War Museum," BBC News, May 5, 2016. Laura Wagner, "No Nazi Train Filled With Gold, Experts Say," Two-Way, NPR, December 15, 2015. 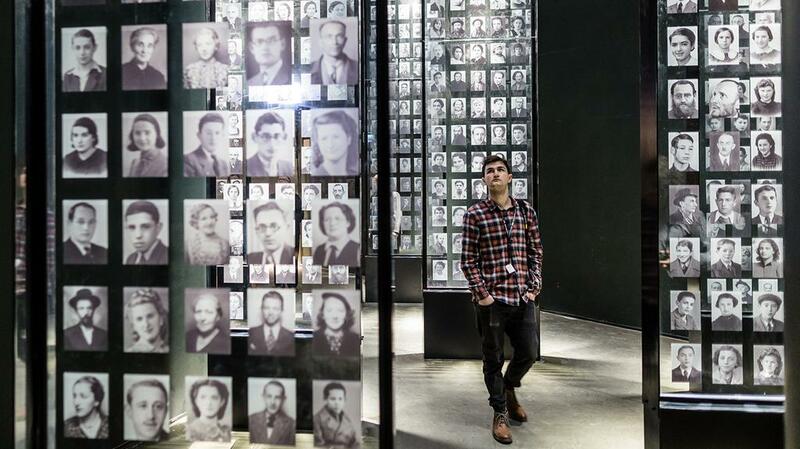 Joseph Berger, "In Poland, Searching For Jewish Heritage," New York Times, July 30, 2015. 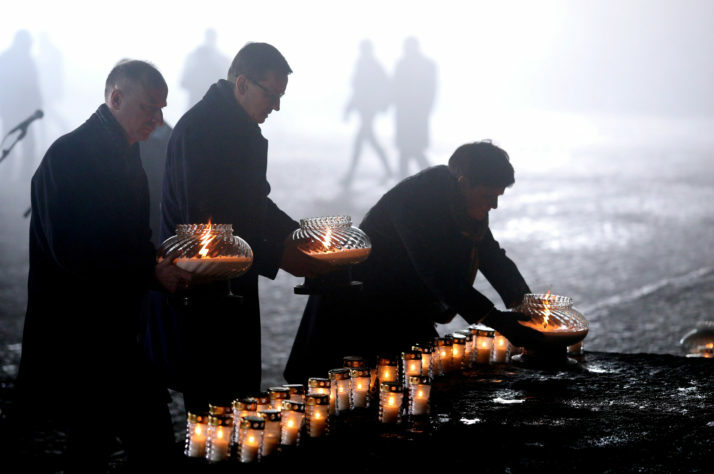 Rick Lyman, "Poland's World War II Ceremonies Lose Some Edge As Tensions With Russia Ebb," New York Times, May 7, 2015. Shaun Walker, "Russian Biker Gang Night Wolves Refused Entry Into Poland," Guardian, April 27, 2015. Krishnadev Calamur, "Hungary Joins Poland In Condemnation Of FBI Chief's Holocaust Remarks," Two-Way, NPR, April 22, 2015. 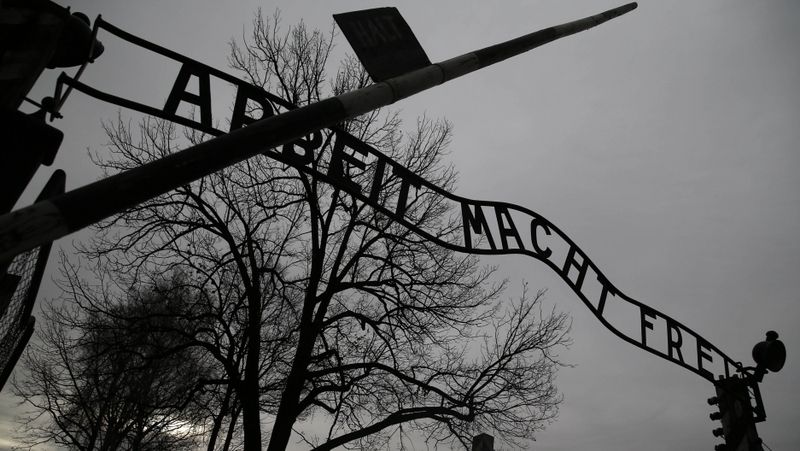 "Poland Awaits Apology As FBI Director's Holocaust Comment Jabs Old Wound," Guardian, April 20, 2015. 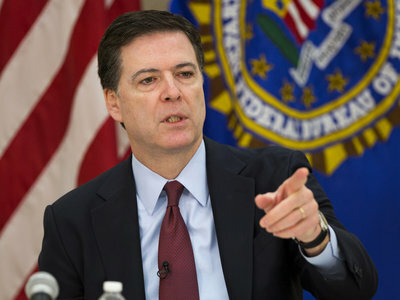 "Poland Fury At Holocaust Comment By FBI's James Comey," BBC News, April 19, 2015. 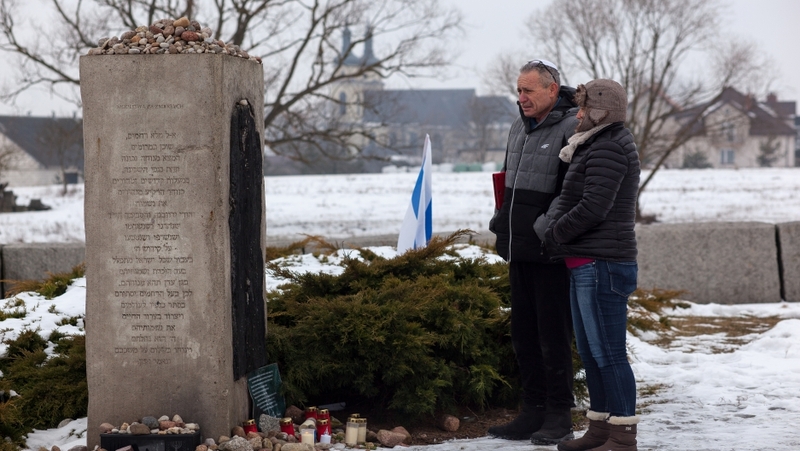 Emma Graham-Harrison, "The Third-Generation Polish Jews Rediscovering Long-Buried Roots," Guardian, January 25, 2015. 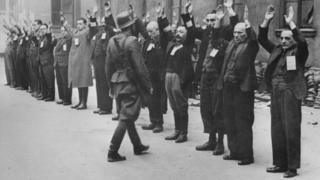 Timothy Garton Ash, "A Small Miracle In The Tortured History Of Polish-Jewish Relations," Guardian, November 1, 2014. Joshua Rubenstein, "What They Saw: The Liberation Of Majdanek 70 Years Ago Today," Cognoscenti, WBUR, July 23, 2014. 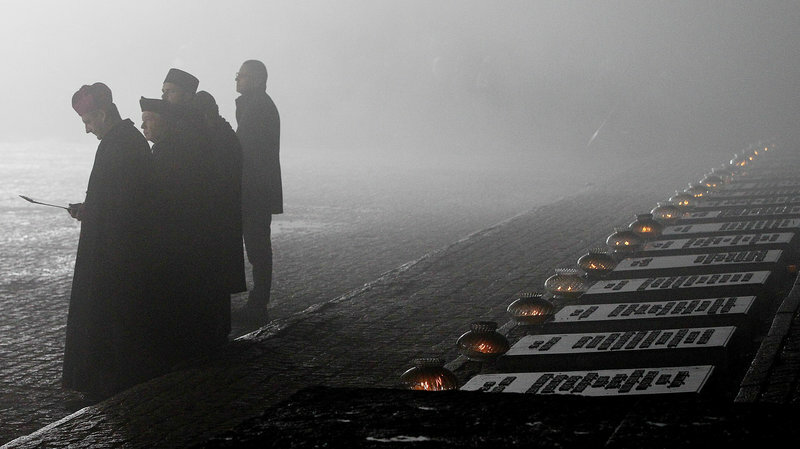 "Poland Marks 69th Anniversary Of The Warsaw Uprising," Guardian, August 7, 2013. 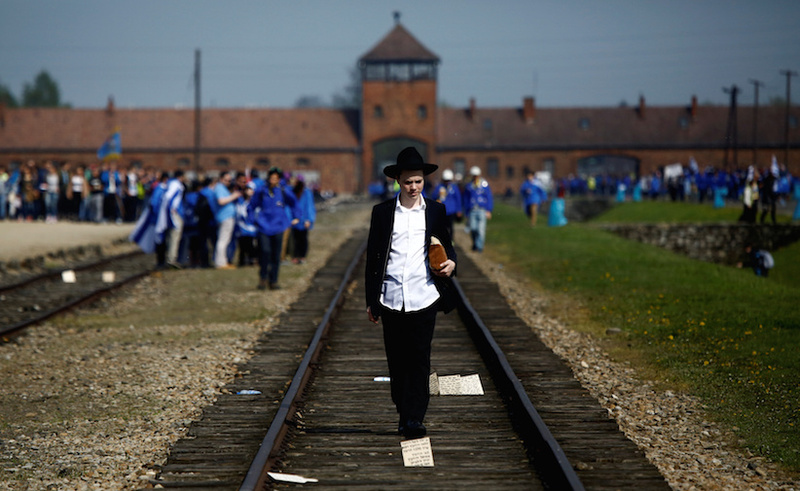 Kate Connolly, "Poland's Young Jews Pick Up the Threads Of History," Observer, April 20, 2013. Monica Whitlock, "Warsaw Ghetto: The Story Of Its Secret Archive," BBC Newsmagazine, January 27, 2013. 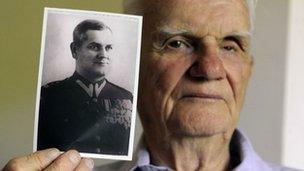 "U.S. 'Hushed Up' Soviet Guilt Over Katyn," BBC News, September 22, 2012. 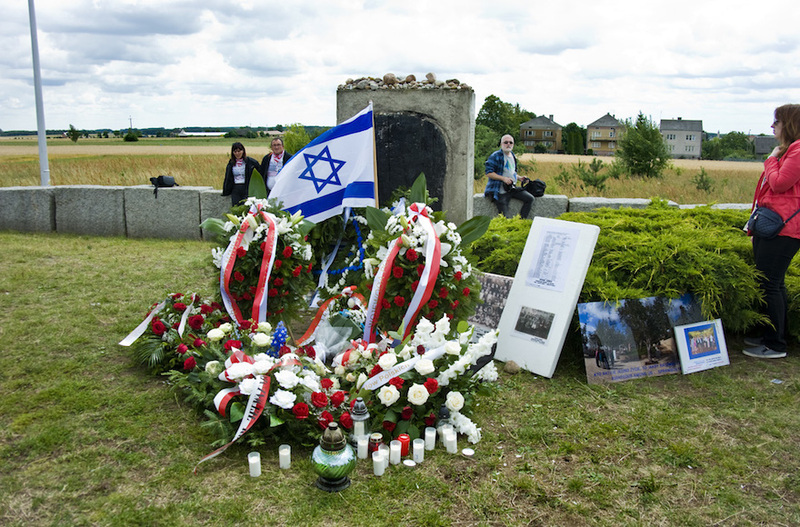 Mark Landler, "Polish Premier Denounces Obama For Referring To A 'Polish Death Camp,'" New York Times, May 30, 2012. 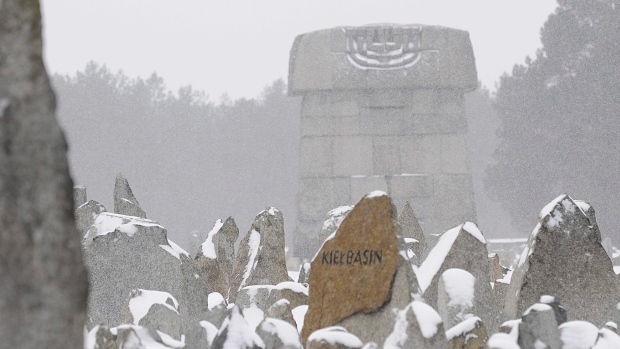 "Treblinka: Revealing The Hidden Graves Of The Holocaust," BBC Newsmagazine, January 23, 2012. Michael Sontheimer, "Germany's WW II Occupation Of Poland: 'When We Finish, Nobody Is Left Alive,'" Spiegel Online International, May 27, 2011. 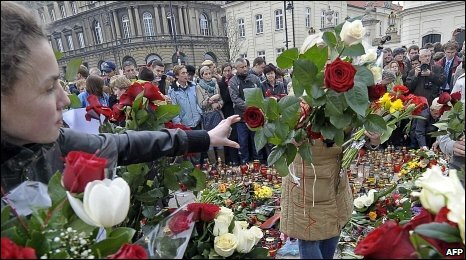 Adam Easton, "Division Mars Poland's Smolensk Plane Crash Anniversary," BBC News, April 10, 2011. 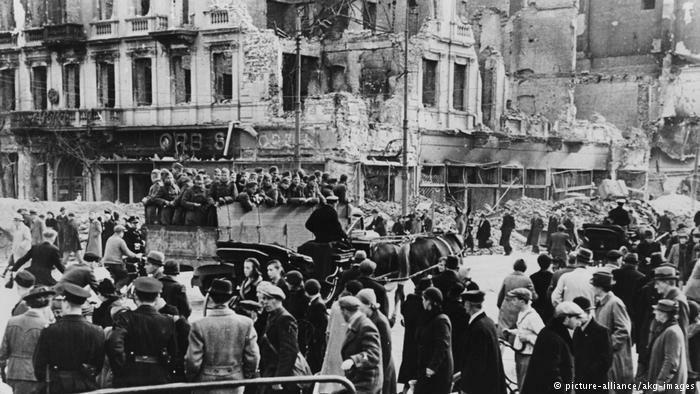 Gazeta Wyborcza, "Bundestag Reopens World War 2 Wounds," Vox Europ, February 15, 2011. Krzysztof Bobinski, "Looking Beyond Poland's 'Unexpected Disaster,'" BBC News, April 10, 2010. 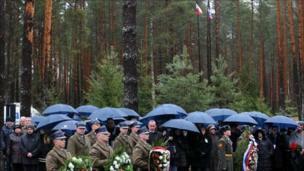 Frank James, "Poland's President, Other Officials, Die In Plane Crash," Two-Way, NPR, April 10, 2010. Adam Easton, "Remembering Katyn, 70 Years Later," BBC News, April 7, 2010. Oana Lungescu, "Poles Draw Strength From Tragic Past," From Your Own Correspondent, BBC Radio 4, April 17, 2010. Benjamin Bidder, "Putin Gesture Heralds New Era In Russian-Polish Relations," Spiegel International, April 8, 2010. Stephen Pollard, "Poland's Kaminski Is Not An Antisemite: He's A Friend To Jews," Guardian, October 9, 2009. "Poland Remembers World War Start," BBC News, September 1, 2009. "Poland Angry At Soviet War Role," BBC News, September 1, 2009. Johnny Dymond, "Poland Remembers Its Catastrophe," BBC News, September 1, 2009. Adam Easton, "Watching The Start Of World War II," BBC News, August 31, 2009. Alex Von Tunzelmann, "Katyn: A Personal Quest For Wartime Truth," Guardian, June 25, 2009. Michael Kimmelman, "Poland Searches Its Own Soul," New York Times, April 8, 2009. Kate Connolly, "Jewish Resistance Film Sparks Polish Anger," Guardian, March 5, 2009. 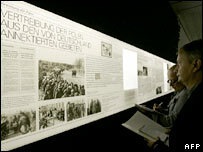 Nicholas Kulish, "Malbork Journal: Facing German Suffering And Not Looking Away," New York Times, February 26, 2009. A.O. Scott, "Bearing Witness To Poland's Pain," New York Times, February 18, 2009. Adam Easton, "Probe Into Poland WW II PM Death," BBC News, November 10, 2008. Terrence Rafferty, "Enduring Witness Honors The Sacrifice Of His Fellow Poles," New York Times, October 10, 2008. Dennis Hevisi, "Irena Sendler, Lifeline To Young Jews, Is Dead At 98," New York Times, May 13, 2008. 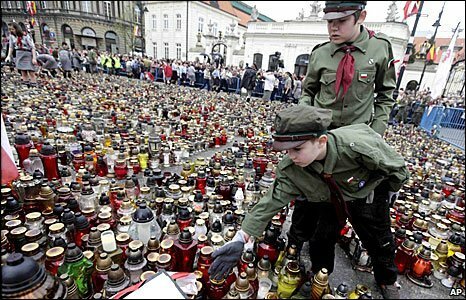 "Poland Remembers Ghetto Uprising," BBC News, April 15, 2008. "Poland To Welcome Expelled Jews," BBC News, March 8, 2008. "Poland U-Turn On Massacre Event," BBC News, October 5, 2007. Brian Hanrahan, "Film Reopens Poland's Katyn Wound," BBC News, October 5, 2007. Craig S. Smith, "In Poland, A Jewish Revival Thrives -- Minus Jews," New York Times, July 12, 2007. "Poland Jews To Get Warsaw Museum," BBC News, June 26, 2007. "Pole Who Saved WW II Jews Honoured," BBC News, March 14, 2007. Charles Golding, "Letters: Poland's Treatment Of Its Jewish Population," Guardian, January 31, 2007. Adam Easton, "Poles Discover Their Jewish Roots," BBC News, November 15, 2006. David Hearst, "Not All Truth Leads To Reconciliation In Poland," Guardian, November 7, 2006. "German-Polish Move To Bury Past," BBC News, October 30, 2006. Ian Traynor, "Poland To Name 6M War Dead," Guardian, September 4, 2006. Tristana Moore, "Berlin Exhibition Stirs Painful Memories," BBC News, August 13, 2006. "Berlin Exhibition Angers Poland," BBC News, August 10, 2006. David Margolick, "Postwar Pogrom," New York Times, July 23, 2006. "Poland Marks Anti-Semitic Pogrom," BBC News, July 5, 2006. Ian Traynor, "Poland Recalls Hitler-Stalin Pact Amid Fears Over Pipeline," Guardian, May 1, 2006. 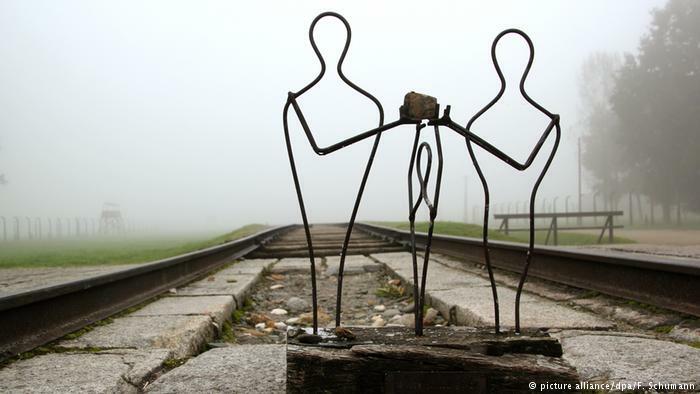 Adam Easton, "Poles Mark Holocaust Memorial Day," BBC News, January 27, 2006. "Holocaust Survivor Speaks In City," BBC News, January 15, 2006. 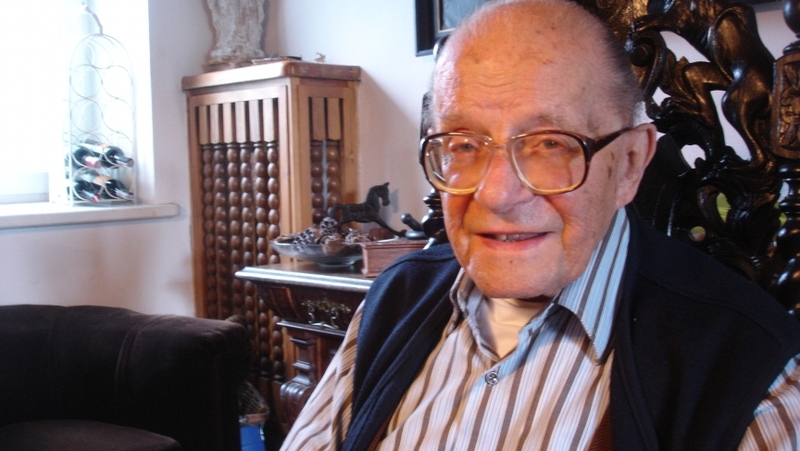 Jan Repa, "Warsaw's Jewish Heritage Remembered," BBC News, June 30, 2005. Adam Easton, "Poland Lobbies Russia Over Katyn," BBC News, March 23, 2005. Adam Easton, "Poles Rediscover Jewish Heritage," BBC News, February 7, 2005. "Russia To Release Massacre Files," BBC News, December 16, 2004. "Poland Opens 1940 Massacre Probe," BBC News, December 1, 2004. 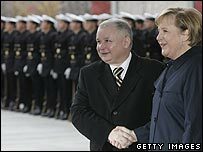 "Germans And Poles Settle WW II Row," BBC News, September 27, 2004. "Poland Rejects Reparations Call," BBC News, September 14, 2004. Jan Repa, "Warsaw's Failed Uprising Still Divides," BBC News, August 2, 2004. 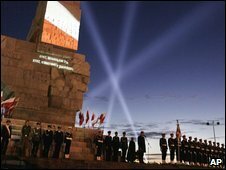 "Press Emotion At Warsaw Anniversary," BBC News, August 2, 2004. "Poles Mark 1944 Warsaw Uprising," BBC News, August 1, 2004. Adam Easton, "Warsaw Stops To Remember," BBC News, August 1, 2004. Martha Buckley, "Boy Messenger Remembers Uprising," BBC News, August 1, 2004. Richard Bernstein, "The Warsaw Uprising, Told Vividly By A Welshman," New York Times, July 31, 2004. "Warsaw Marks Uprising Anniversary," BBC News, July 30, 2004. Carlo D'Este, "'Warsaw Will Be Liquidated,'" New York Times, July 25, 2004. Marek Bekerman, "Holocaust Hotline Anger In Poland," BBC News, June 16, 2004. "Remembering The Ghetto Fighter," BBC News, April 29, 2003. "Warsaw Jews Mark Uprising," BBC News, April 20, 2003. Peter S. Green, "Polish Town Still Tries To Forget Its Dark Past," New York Times, February 8, 2003. 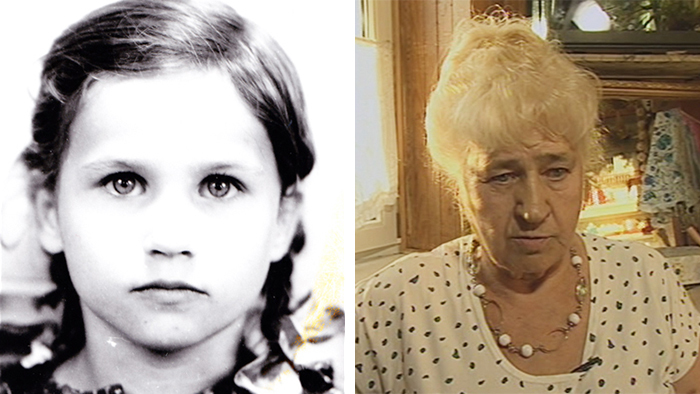 Ania Lichtarowicz, "'My Grandfather Helped Ghetto Jew,'" BBC News, January 24, 2003. Peter S. Green, "Jewish Museum In Poland: More Than A Memorial," New York Times, January 9, 2003. William Horsley, "Bitter Legacy Of War," BBC News, December 7, 2002. "Poland Blamed For Wartime Massacres," BBC News, November 2, 2002. Steven Erlanger, "An Inquiry Confirms A Massacre Of Jews by Poles In World War II," New York Times, July 10, 2002. "Poland Gives Historic Stones To Israel," BBC News, May 21, 2002. Paul Lewis, "Chaike B. Spiegel, Who Battled Nazis In The Warsaw Ghetto, Dies At 81," New York Times, April 7, 2002. 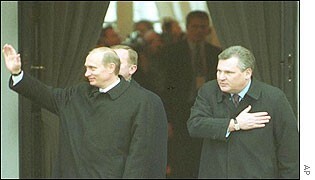 "Russia And Poland Hail New Relations," BBC News, January 16, 2002. "New Evidence On Polish Massacre," BBC News, December 19, 2001. Ian Fisher, "At Site Of Massacre, Polish Leader Asks Jews For Forgiveness," New York Times, July 11, 2001. "Analysis: Poland Divided On Massacre," BBC News, July 10, 2001. "In Pictures: Jedwabne Massacre Remembered," BBC News, July 10, 2001. "Poland Apologises To Jews," BBC News, July 10, 2001. 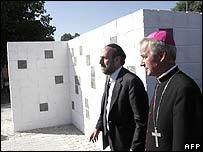 "Poland To Unveil Jewish Memorial," CNN News, July 6, 2001. 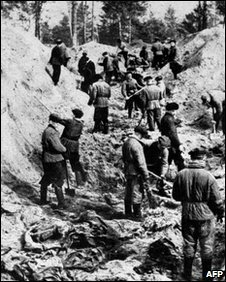 "Polish Investigators Exhume Remains Of 200 Jews Killed In 1941," New York Times, June 5, 2001. "Jewish Grave Controversy Deepens," BBC News, June 4, 2001. "Analysis: Historic But Reluctant Apology," BBC News, May 28, 2001. "Church Apologises For Jewish Massacre," BBC News, May 27, 2001. "Poland Allows Jewish Mass Grave Exhumation," BBC News, May 20, 2001. "Polish U-Turn On Mass Grave," BBC News, May 20, 2001. Steven Erlanger, "Soul-Searching At Another Polish Massacre Site," New York Times, April 19, 1991. Steven Erlanger, "Hitler's Willing Executioners," New York Times, April 8, 2001. "Jewish Mass Grave Found In Poland," BBC News, March 29, 2001. Adam Michnik, "Poles And The Jews: How Deep The Guilt?," New York Times, March 17, 2001. "Fury Over Massacre Apology Plan," BBC News, March 7, 2001. 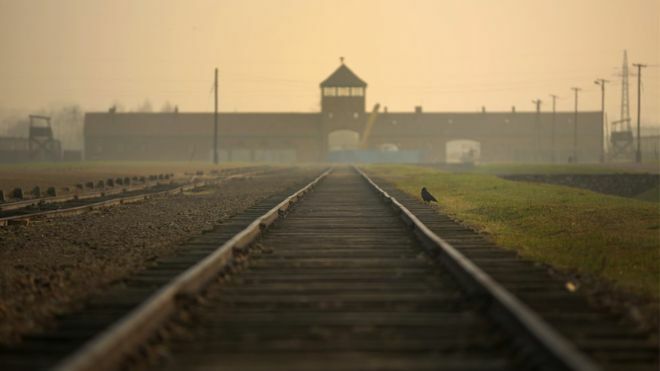 "Polish Tourism Benefits From Holocaust Memories," BBC News, January 9, 2001. "Stalin's Polish Victims Mourned," BBC News, September 3, 2000. Mike Fox, "Polish Church Apology Over Holocaust," BBC News, August 27, 2000. "In Pictures: Remembering Katyn Massacre," BBC News, July 28, 2000. Cressida Trew, "Poland And Holocaust History," History Today (December 1999). "Historian Accused Of Holocaust Revisionism," BBC News, November 17, 1999. "First Jewish School Opened In Poland," BBC News, October 12, 1999. "Poland Remembers Katyn Dead," BBC News, September 17, 1999. Caroline Wyatt, "Polish Invasion Remembered," BBC News, September 2, 1999. 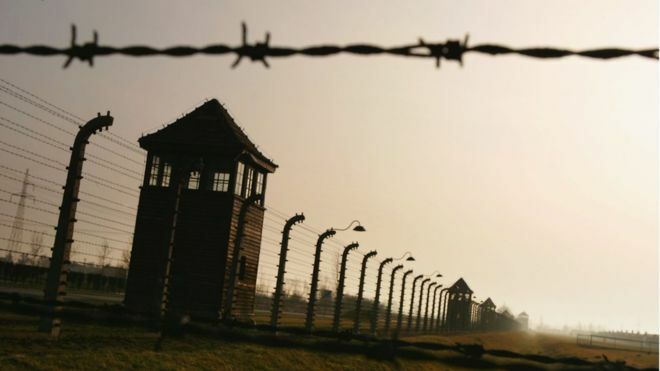 "Polish Law Protects Nazi Camp Sites," BBC News, May 10, 1999. "Poland's Jewish Survivors May Get Compensation," BBC News, December 10, 1997. Leopold Unger, "Warsaw Lost, But Its Struggle Mattered," New York Times, August 6, 1994. "In Warsaw, Former Enemies Commemorate 1944 Uprising," New York Times, August 2, 1994. Jacques Steinberg, "In Ceremony Of Remembrance Reminders Of Human Courage," New York Times, April 19, 1993. Jane Perlez, "Young Jews In Warsaw Rebuild Their Heritage," New York Times, April 19, 1993. "Last Russian Combat Troops Are Withdrawn From Poland," New York Times, October 29, 1992. "Moscow's Statement On Katyn," New York Times, October 15, 1992. Stephen Engelberg, "Poland And Germany Sign Border Guarantee Pact," New York Times, November 15, 1990. Esther B. Fein, "Upheaval In The East; Gorbachev Hands Over Katyn Papers," New York Times, April 14, 1990. "Poland Resumes Full Diplomatic Ties With Israel," New York Times, February 28, 1990. John Tagliabue, "Poland Acknowledges Soviet-Nazi Pact On Its Fate," New York Times, May 25, 1989. John Tagliabue, "Politics Of A Polish Forest; Indictment Of Soviets In Katyn Massacre Reflect Warsaw's Opening To Opposition," New York Times, March 9, 1989. John Tagliabue, "Warsaw Asks Soviets To Tell Truth About Wartime Polish Massacre," New York Times, February 25, 1989. Michael T. Kaufman, "Warsaw Begins To Tell Its Own History," New York Times, February 19, 1989. John Tagliabue, "Israeli Aides To Visit Warsaw," New York Times, April 13, 1988. Robert Lindsey, "Scholar Says Its Views On Jews Cost Him A Post At Stanford," New York Times, March 13, 1987. "Pope Commemorates Warsaw Ghetto Uprising," New York Times, April 14, 1983. "Poland, World War II And Holocaust Denial," Rear Vision, ABC, March 11, 2018. "Polish Holocaust Denial And The Weaponization Of History," Vox, February 8, 2018. "Israel Calls Out Poland On Proposed Holocaust Law," Morning Edition, NPR, January 29, 2018. 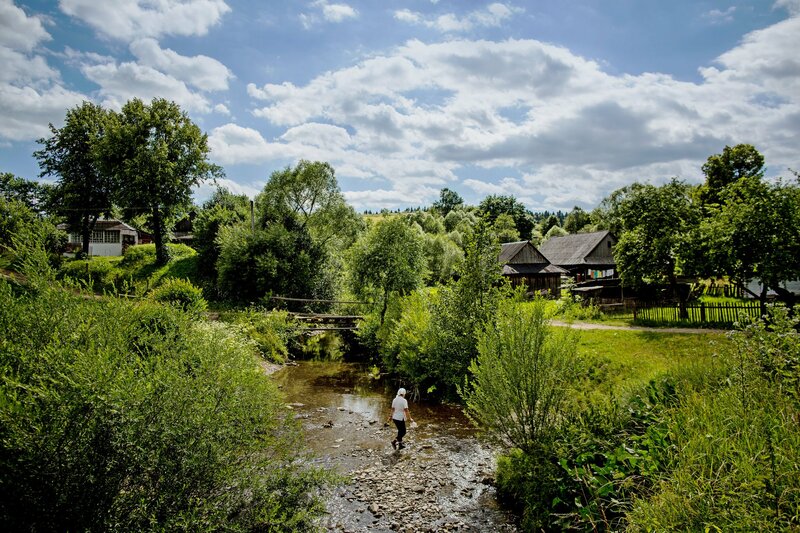 "Photos: A Polish Village Still Struggles With Its History; In World War II, People Killed Their Jewish Neighbors," World, PRI, July 13, 2017. 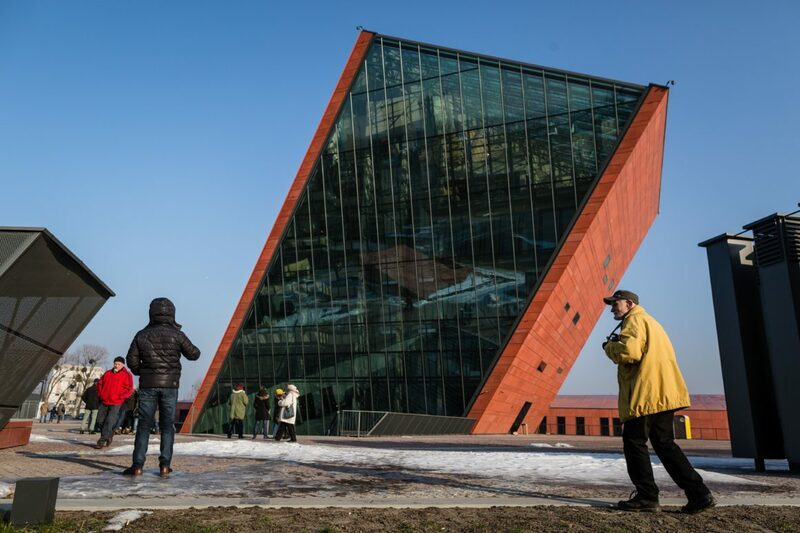 "Poland's New World War II Museum Just Opened, But Maybe Not For Long," Parallels, NPR, April 4, 2017. "Poland's Right-wing Government Thinks This WW II Museum Isn't 'Glorious' Enough," PRI, February 23, 2017. 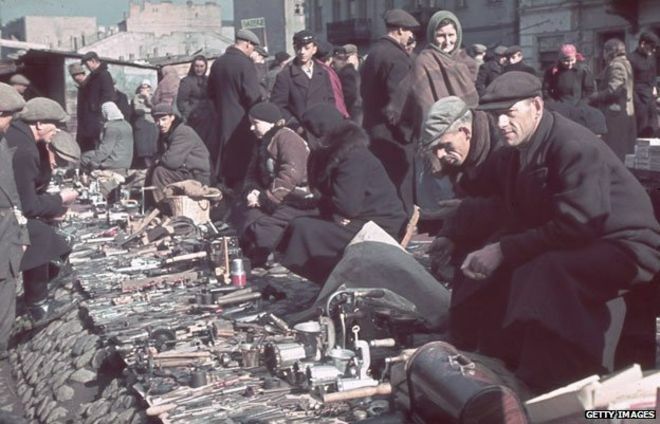 "Holocaust Survivors Who Lost Property In Warsaw Have 6 Months To Reclaim It," Weekend Edition Saturday, NPR, December 10, 2016. 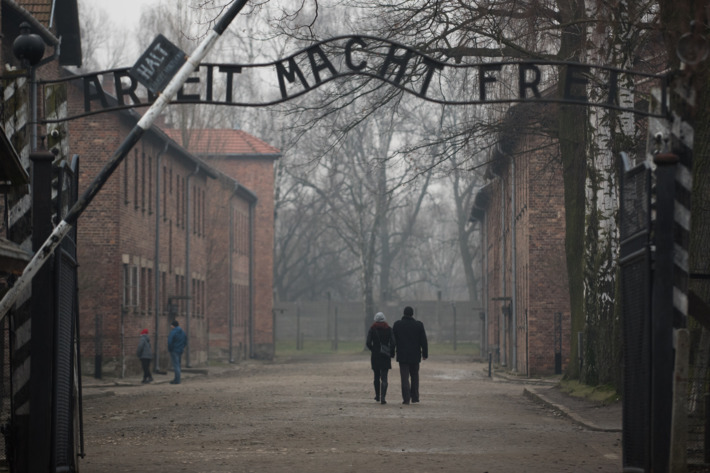 "Policing The Language Of The Holocaust In Poland," The World, PRI, August 18, 2016. 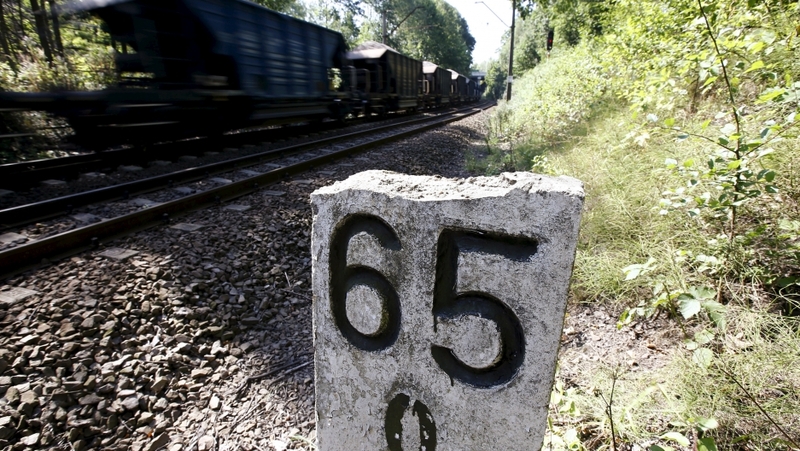 "Nazi Gold Train Fever Is Spreading Across Poland," The World, PRI, September 2, 2015. 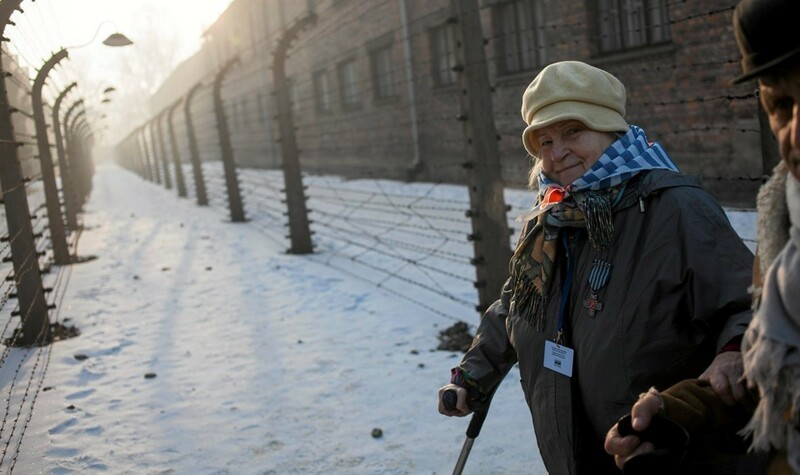 "A Holocaust Survivor Returns To Poland," Religion And Ethics Newsweekly, PBS, April 10, 2015. "A Polish Resistance Fighter Remembers Fighting In The Warsaw Uprising -- From The Sewers," The World, PRI, October 2, 2014. "Voices From The Ghetto," Documentary, BBC World Service, January 27, 2013. "Why Poland? 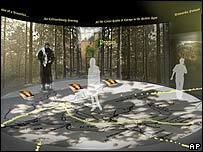 : Facing The Demons Of Polish-Jewish History," Encounter, RN, December 1, 2012. "Poles And Jews," Spirit Of Things, RN, April 19, 2009. 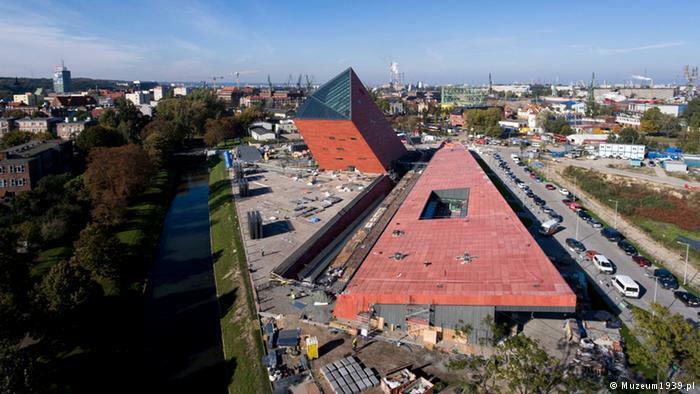 Museum Of The Second World War, Wikipedia: An entry in the on-line encyclopedia. Alexandra Filippenko, Museum Of The Second World War, Museum, November 11, 2017.